Ryan Mania was born on 23 December 1988, in Galashiels, Scotland. His father Kevin, a joiner, and his mother Lesley, a mental health worker, bought him a Shetland pony at the age of three. By the age of twelve he was working with point-to-point horses with Galashiels trainer Bill Hughes. It was through riding Bill’s hunters and point-to-pointers that Ryan became interested in becoming a jockey. Ryan’s first success came when he rode home a double win for trainer Peter Monteith in terrible conditions at Ayr. He led from the start on Quicuyo in the two-mile novice hurdles, easily beating the rest of the field by 23 lengths. Until that race, Ryan had ridden 44 runners without success, apart from two earlier wins in point-to-point races. That first win came just three weeks after he’d signed as apprentice to Monteith who trains mostly National Hunt horses. 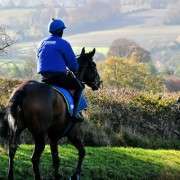 After his stint with Monteith, Ryan rode for Howard Johnson until Johnson quit the sport at the end of 2011 when he decided not to appeal against a four-year ban for denerving a horse and administering steroids to two others. It was at this point that Ryan also considered giving up the sport and he stopped racing for six months in the winter of 2011. 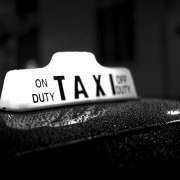 Ryan left jump racing to work for his local hunt, the Fife foxhounds, as an assistant managing the hounds. Over the winter Ryan watched the horses that he had previously ridden running, and began to miss the excitement of the sport. Encouraged by his agent, Bruce Jeffrey, he returned to racing to ride for Yorkshire-based trainer Sue Smith, wife of ex-showjumping legend Harvey. 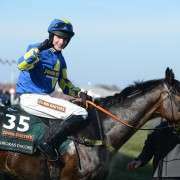 It was Sue and Harvey who gave Ryan his chance to ride in his first English Grand National in 2013 where he romped home the unexpected winner on 66/1 outsider Auroras Encore. Ryan and Auroras Encore came in 9 lengths clear, beating Cappa Bleu into second place. As a 23 year old, he was one of the youngest riders to ever win the Grand National and also the first Scottish jockey to win the race for 117 years. 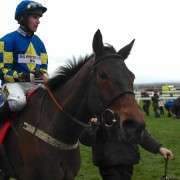 Ryan had previously been beaten by a head in the 2012 Scottish Grand National, again riding Auroras Encore. 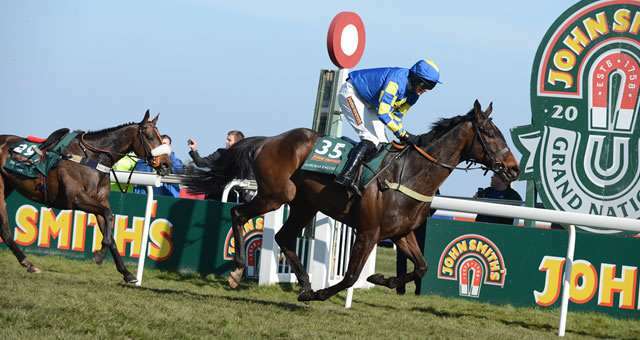 The day after winning the Grand National, Ryan made the headlines again when he fell from another of Sue Smith’s horses – Stagecoach Jasper in the St. John Lee Handicap Hurdle at Hexham. Ryan had to be airlifted to hospital in Newcastle with neck and back injuries. He returned to race riding on the first day of the 2013 Scottish Grand National meeting at Ayr on 19 April 2013 where again he rode Auroras Encore, but this time pulled up at just five out. For 2014 Mania has been been by Sue Smith again and will ride Mr Moonshine in a bid to win back-to-back Grand Nationals and he could very well just do it!